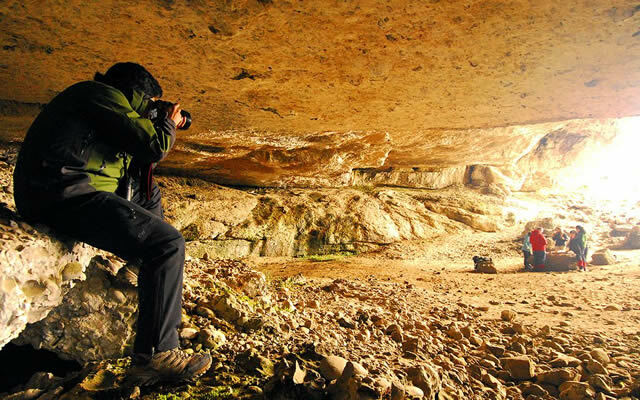 The destination of this excursion is Cueva del Milodón National Monument, located 25 km. 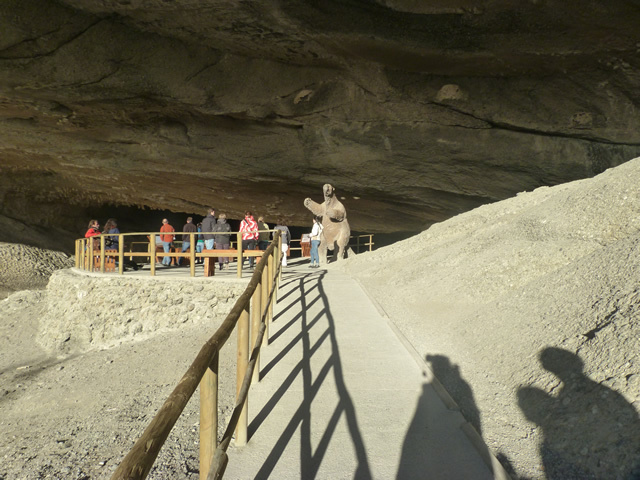 from Puerto Natales, where in 1895 the German adventurer Hermann Eberhard first discovered the remains of the prehistoric giant ground sloth known today (in English) as a Mylodon. The animal’s existence was proven by a well-conserved piece of skin, bones and hair that Eberhard found inside the cave, which reaches 30 m. / 98 ft. in height and 200 m. / 656 ft. in depth. Today a life-size model of the Mylodon greets visitors to the site, while an information centre provides historical background. The trip from Puerto Natales to Milodón Cave is worthwhile in itself, offering magnificent views of Eberhard Fjord and Seno Ultima Esperanza (‘Last Hope Sound’). 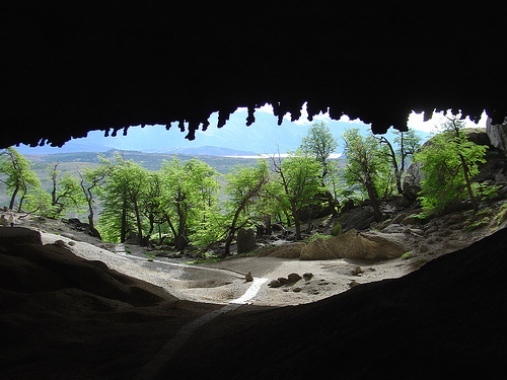 Following your tour of the cave, you’ll retrace this enjoyable drive back to Puerto Natales.